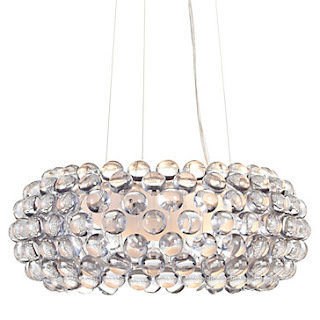 As these things tend to go, I've figured out that my capiz shell chandelier that used to hang above my dining room table seen here is too long to go above my bed. Now I'm on the hunt for a new light as the "finish this big bad motha" referring to finishing the bedroom addition looms closer and closer. 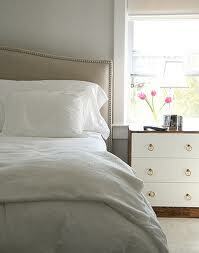 Since I tend to change my mind and my house often I tend to have a been there done that mind set. I've already had a traditional chandelier above my bed, I've already had a silver ghost chandelier hung above my bed, and I've already had a pendant shade hanging above my bed. Seriously?! So now I want something unique and special that will also blend with the rest of my house considering that it will be visible from the new hallway which is seen from the dining room, the kitchen and the family room. 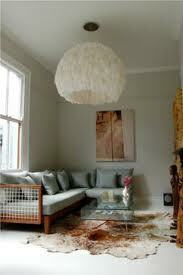 I also don't want it to clash or compete with the chandelier in the dining room seen below. It is nice and modern. It is clean but can still be romantic and it goes well with my glass ring chandelier in the dining room. 2nd would be the DIY version of Haldane Martin's creation that is waaaaay out of my budget seen below. I'm thinking I could use my go to rice paper lantern for $6.00 and splurge on the feathers which I would simply glue glue glue and then I could buy a nice light hanging kit. 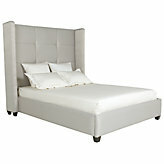 Just as an FYI my bed is a silver grey upholstered bed from Z Gallery shown below. My night stands are the DIY Ikea hacked RAST 3 drawer chest shown below. 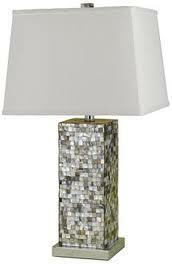 My lamps are beautiful Home Goods finds with capiz shells on them similar to the ones below. So with that said, what would you do?? ?